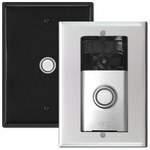 Save time & money - easily buy all your light switch covers in one place. 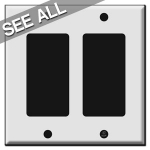 Shop over 400 switch plate configurations made in the USA - the largest selection of sizes online. 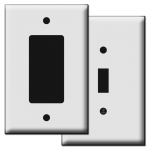 Find modern decorator wall plates, oversized outlet covers, cable TV jacks, narrow or deep versions, and exclusive combination layouts that complete your set. 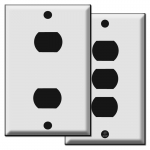 Even buy those hard-to-find light switch plates, whether needed for an electrical wiring system in an older home or an elaborate new lighting installation. 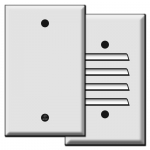 Choose from multiple light switch covers up to 10 gangs in width with a variety of openings to quickly and easily create a custom size. Don't see the configuration you need? 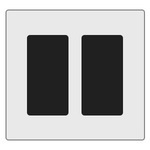 Create any switch place using switch plate inserts and blank fillers. There are a variety of inserts that you can use to easily and quickly order the switch plate you need, a few of which are shown here. 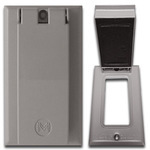 Simply place the insert behind your cover plate to convert the opening. You can easily convert the Decora style opening to a toggle, blank, cable or phone jack, or convert toggle and duplex openings to blanks. 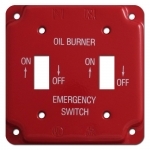 Inserts are an inexpensive way to create your own custom switch plate and are the perfect solution when you can't find the exact configuration you need. 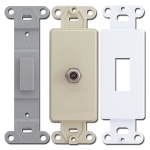 If you can find a cover plate that is similar to the one you need but the devices are in the incorrect order, the best solution is to move your devices to match the plate. If that's not an option for you, find a switchplate that has a Decora Rocker opening where you need something else, and order the appropriate insert to convert that space to what you need. 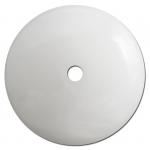 Here is a sample single Decora Rocker switch plate in ivory with an ivory Decora-to-Toggle insert and a toggle switch. 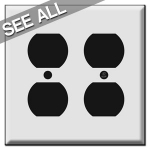 Important: Please note that when combing low voltage parts such as phone, cable, or ethernet jacks with regular line-voltage switches, light dimmers, and outlet receptacles, a physical barrier or standard partition must exist between the low voltage communication jacks and any line-voltage devices in the wall box. 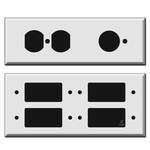 Click to shop all available face plate inserts for converting switch plates. You'll find a wide selection of fillers in white, almond, ivory, gray, black and brown. 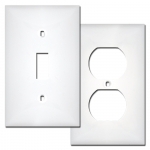 Have Light Switch Cover Questions? : Kyle Switch Plates can help you. 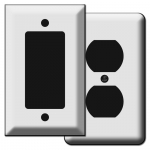 You'll find links to many useful guides below to help you select the right electric switch plates. If you can't find what you need or would like additional help, please call or send us an email. 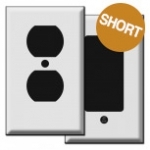 We know it can be very frustrating trying to find anything from some weird old electric switch plate to a large size cover plate needed to accommodate multiple devices. Perhaps you've added additional lighting or a contractor combined several models of electrical devices into a single handy box. Or maybe you just assumed that you could find a quirky size for the cabling and power connection jacks in your new media center. We often can suggest multiple solutions for you. 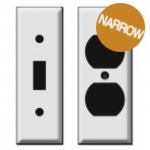 Let us help you quickly find what you need to solve your switch plate decorating problems. Not sure what your switch plate is called? 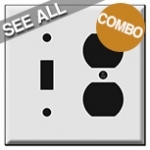 See photo descriptions of common switch plate configurations so you know what to look for as you peruse our site. Want to know even more? 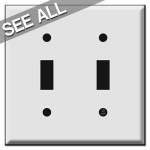 Use our Switch Plate Help Guide & Photo Glossary to find answers. 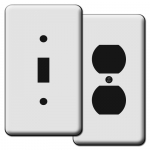 This great in-depth list of photos, wall plate opening definitions, cover plate descriptions, shape comparisons explains electrical industry jargon and duplicate terms for common cover plates and devices. What to see all the sizes we stock? 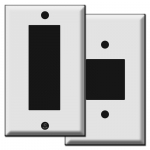 Review our Plain Light Switch Plates Size and Description Chart. 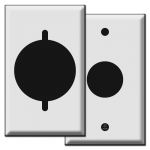 This is our master list for drawings of all electrical switch plate sizes, screw positions, opening sizes and FAQs for commonly asked questions. 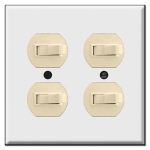 Guide To Choosing the Right Switchplates - Basic tips and suggestions for best results whether you are remodeling an existing home, building a room addition, or tackling new construction. 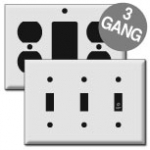 Guide To Selecting Phone Jacks and Telephone Jack Wall Covers - Photo guide gives an explanation of different types of phone jacks and answers to common questions regarding phones and data communication systems. Have a low voltage lighting system but don't know the brand? See photo descriptions of older low voltage switch plates and devices that were installed in mid-century homes. 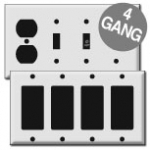 Need hard to find switch plate covers? 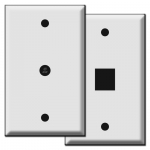 Kyle Switch Plates can quote you on special switchplate sizes or quantities. 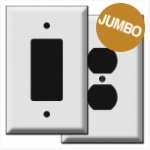 Click Get Quote on Custom Wall Plate Size or Quantity for more information.